I was born in Marylebone, London in 1944, right at the end of the War. My Mother played light-classical pieces on the piano, which also served as the family bomb-shelter during the air raids. I recall her playing with great fondness and still play an arrangement of Schumann's "Im Wunderschonen Monat Mai" on the guitar. Later on, at school, I took music lessons with a patient man named John Webber who introduced me to Early Music which had yet to become part of the curriculum. At the same time I sat my grade exams on classical guitar at the Guildhall, presided over by Adele Kramer. An interest in Early Music has remained with me, not least in my approach to arrangement. The classical guitar studies helped a lot in the transition to steel-string fingerpicking styles, "Faro's Rag" owes more to Fernando Sor than Madame Kramer would probably care to acknowledge. In Britain in the late fifties the musical craze was for 'Skiffle', an amalgam of American folk, blues, bluegrass and jugband styles. The big hit was "Freight Train" which drew attention to Elizabeth Cotten's original, as well as to the work of such musicians as Leadbelly, Jesse Fuller, Josh White, Big Bill Broonzy, Brownie McGhee and Ramblin' Jack Elliot. These players all came over to England and their guitar styles left a strong impression on a generation of young skifflers. As soon as I left school I went hitch-hiking,and met up with others trying to play like them. Mac McCloud, Gerry Lockran, Mick Softly and Wizz Jones were already well on the way,and we were all in awe of Davey Graham. Around this time I got my first playable steel-string guitar, it cost me a fiver and was an object of wonder and beauty. It was a Scarth and, like Abbott and Aristone, a British-made dance-band instrument having an arched top and tailpiece but with a round sound hole. It had its little idiosyncrasies - the action went up and down according to the weather, which could be counteracted by wedging a lollypop stick under the neck - a feature that merely added to its mystique. You don't see too many like it any more! However, good steel-string guitars were few and far between with Harmony and Levin leading the field. I was living on an old boat on the River Thames and stringing together tunes based on picking patterns, such as "Down On The Barge" and that old Scarth served me well - featuring on the cover of my first LP, in the traditional 'folk-singer-on-the-rubbish-dump' pose. In the early sixties I attended Kingston College of Art fairly frequently. The Art Schools seemed to be turning out more musicians than artists at that time. The Yardbirds were at Kingston, as were Eric Clapton and Sandy Denny. The R'n'B craze had replaced skiffle and the best band was considered to be Alexis Korner's "Blues Incorporated". I played in an Art School R'n'B band for a while, "Hog Snort Rupert's Famous Porkestra", using a borrowed electric guitar. I found that some of the band's riffs sounded interesting played fingerstyle on an acoustic guitar and pieces like "The Wildest Pig In Captivity" came out of that. After Art School, I lived in a flat in West London with what remained of the band. Things were not looking too promising. Though the British 'Folk Revival' was underway, most of the clubs had a heavily traditional bias and guitar players were often frowned upon. It took the collaboration of Davey Graham and Shirley Collins to start to change that, but it was a rocky process. There was one place, the Roundhouse in Soho, which had a more open musical policy and Gerry Lockran took me along with him to play a few tunes. It was there that I met Dorris Henderson, a singer from Los Angeles, who sang blues and gospel and who was looking for a guitar player. Dorris recorded two albums with me as accompanist, the first of which, "There You Go" has recently been re-released. We also had a regular spot on a weekly television show that had Alexis Korner's outfit as the house band and I got to meet his bassist Danny Thompson and drummer Terry Cox.The one all-nighter with a permanent home was a club called "Les Cousins", in the basement of 48 Greek Street, that became the meeting place for guitar players and contemporary song writers, people who were unwelcome in the traditional clubs. Visiting Americans used to play the 'Cousins' and I had the chance to hear some great players. Derrol Adams, Sandy Bull, Jackson Frank, Paul Simon, Spider John Koerner, Danny Kalb and Stefan Grossman all showed up at some stage and there was a healthy interchange of ideas.Around that time, 1963 or '64, I ran into Bert Jansch who was down from Edinburgh and playing truly exceptional original material, both songs and guitar pieces. We shared a number of living places and played a lot of music together. We both admired Davey Graham who had just made a ground breaking record of guitar duets with Alexis, that included the original version of 'Anji'.The domestic record companies were getting interested in what was going on in the world of 'Folk' and one, Transatlantic, used to send out their recording engineer with a tape machine to capture the 'authentic' sounds on location in deepest South London. "Bert And John" was recorded that way, with blankets tacked up in the hallway to keep out the noise of our neighbours. When "Bert And John" came to be re-released on CD, one of the selling points was the 'vintage sound'. I also began playing with Jacqui McShee who had been out in Paris singing with a friend of mine from the Kingston days. As well as American material, Jacqui also sang beautiful versions of British traditional songs which gave me an opportunity to work out accompaniments based on Davey's ideas from his recordings with Shirley Collins, as well as drawing on some approaches found in Early Music. Jacqui sang on a few tracks on my first records but we didn't get to explore her repertoire until later. By then I was under contract to the Transatlantic company and on at least two of those albums, "Sir John Alot" and "Lady And The Unicorn", I made instrumental arrangements of songs that I had learned from Jacqui.Jacqui, Bert and myself used to play at the 'Cousins' in various combinations. Once in a while Alexis would come down with a trio and it was a natural progression to ask Danny and Terry to join us. At first it was a good way of lasting out the all-nighters, but we found that we had a lot of musical common ground and we became a band. We called ourselves "Pentangle" after the emblem on Sir Gawain's shield in the story of the Green Knight. The music was a loose mixture of all our influences, initially much of it improvised on the stand. Bert and I were both still under contract to Transatlantic as solo artists and the company, somewhat reluctantly, agreed to record the band.The first recording, "The Pentangle", was picked up by Warner Bros. in America and things started happening fast. We toured America in 1968 playing prestigious gigs like Carnegie Hall and the Newport Folk Festival, which was nice as we finally got to meet some of the old timers including Jesse Fuller himself. We also played the Fillmores, East and West, working alongside James Taylor and The Grateful Dead. A good time was had by all and the band went through a fairly intensive period of recording into the early seventies. The last album was "Solomon's Seal" which got hung up in some contractual difficulties but is probably the best of the group efforts. I seem to have been under Transatlantic's wing, if that's the right term, for most of my recording career, and I have to say it's been quite an experience.The beginning of the company and the label's early music policy is a little on the hazy side. It would have been after Dixieland and Skiffle but before the British Folk Scare, and the label became something of a catch-all for the mysterious "folk" - mostly not the pure-breds who went with Topic or maybe Fontana, but looser unchartable types, "contemporary" I suppose.In some respects the company was more like the American Vanguard label than Mo Asch's ground-breaking Folkways (whose catalogue Transatlantic imported into the UK throughout the sixties) but both I would think must have been a direct influence early on.Transatlantic was masterminded and largely administered by Nathan Joseph (the irrepressible "Nat") and man and company have become the subject of myth. Latter-day executives talk in terms of "DN" and "AN" -During Nat and After Nat - that is, after 1977 when he chose to sell his interests.The AN period has been quite a saga in its own right sufficiently convoluted for Private Eye to devote almost an entire issue to it all. But the good ship has never actually sunk, just run aground from time to time, only to be successfully re-launched, as it has been most recently by Castle Communications. Those of us who were involved in the early days generally recall the frugality of the set-up. Almost a family affair: small office in Marylebone with artists augmenting their two per cent of ninety by boxing up albums in the packing room, and maybe liberating a few on the side. Nat was never known for his boundless magnanimity, but somehow managed to turn that into an endearing trait. Even today when you run into a fellow wayworn traveller, a guitar-lugging survivor of the British sixties scene, the chances are he's an old Transatlantean and you only have to say "Nat" for an immediate bond to be formed. 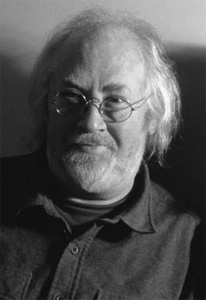 (Laurence Aston, who was Nat's assistant and later Deputy Managing Director, has been in charge of this project and I notice we seem to have struck an unspoken understanding, - no mention of Nat or the anecdotes would certainly stop play).Most of the early recording was supervised and engineered either by Bill Leader, usually in his home and occasionally on field-trips into darkest South London, or by Nic Kinsey in the now equally legendary Livingston Studio, a partly converted chapel in Barnet.I remember Bill coming over to a pad I shared with Bert Jansch, setting up the tape machine in the sink and having us play in the broom cupboard. During the time Pentangle was on the road the 'Folk Revival' had been spreading throughout Europe and I had come back to find the scene much healthier. The guitar was a far more accepted part of it all than it had been previously in Britain, and some very good young players were emerging who had been listening to, and developing, the ideas of my generation. That encouraged me to put out some books of my guitar pieces and to begin a series of guitar based albums featuring set arrangements that could be learned note for note. These included "The Hermit", "Black Balloon" and "Nine Maidens". As an extension of this I began working with Stefan Grossman who was based in Europe. We recorded two studio albums and one live double album as well as a limited edition direct-to-disk recording in Japan. A compilation of our duets, "Keeper Of The Vine" has recently been released by Shanachie. By that stage I had moved down to the West Country and hooked up with Tony Roberts who had worked with Alexis and played on some of my solo Transatlantic records, from "Lady And The Unicorn" to the "Lost Sessions". We began playing together without any particular aim in mind. The music was mainly traditional and the ideas grew to incorporate Jacqui and other friends, Sue Draheim and Keshav Sathe. Soon we found ourselves touring and recording again. 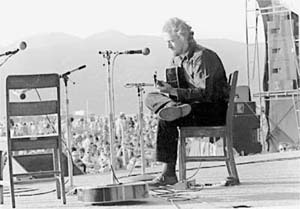 The two studio albums were "A Maid In Bedlam" and "Enchanted Garden" and, since we had no name, the record company called us "The John Renbourn Group". We were taped playing at the Great American Music Hall in San Francisco and the recording "Live In America" earned us a Grammy nomination in the Folk Music category. We were pipped at the post by Queen Ida but we all felt that was fair enough. In the early eighties I took time off to go back to school, I was living near a world-renowned music college, Dartington, in South Devon, and the temptation was too great. I spent three years there and emerged with a degree covering composition and orchestration. But the most wonderful aspect was the range of music covered by the course, much of which I had scarcely been aware of. It was an awesome experience but not without its lighter side. To keep my hand in I still took the occasional gig whenever I could. These usually passed without comment but special dispensation had to be applied for in order to re-sit my second year exams when it was discovered that they clashed with a concert with Doc Watson at the Carnegie Hall. Although some of the ideas that came out of Dartington have been slow to come to fruition it is a continuous, steady process. I now enjoy writing for groups of instruments and also for voices, not necessarily including the guitar and often not fitting comfortably in the folk niche. However, in 1987 I was asked to put together a band for a concert in New York's Central Park. Maggie Boyle and Steve Tilston joined Tony Roberts and myself and we called ourselves "Ship of Fools" after Sebastian Brant's early moralistic commentary, recording one album under that name for Flying Fish. I also worked occasionally with Isaac Guillory and, more recently, with Archie Fisher without really aiming to take things to the recording stage. 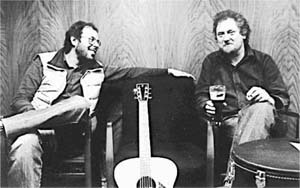 One collaboration that was recorded live, at virtually our first public performance, was with Robin Williamson whom I had known from the early days before the Incredible String Band and the Pentangle took to the road. The 'Impenetrable Stringtangle' seemed like an appropriate name but the CD got called "Wheel Of Fortune" and earned another Grammy nomination, this time losing it to Bob Dylan. I am thinking of calling my next band 'JR and the Grammy Losers'. For a while, the recording of new material has been slow on my part, not from lack of prompting from the powers that be, nor from lack of material. The problem has been how best to present it, since my musical direction has changed considerably since the old 'folksinger' days. To complicate matters further, it seems like every time I turn around another compilation of old material has appeared. In 1997 Shanachie offered me a contract for five CDs, the first to be recorded in Ireland with a choice of outstanding players, giving me the chance to combine traditional themes with less traditional approaches to arrangement. It was an ideal situation and the result "Traveller's Prayer" came out early in 1999.